Never in my dreams would I think we would still be at this after eight years. The credit goes to anyone reading this. As predicted, our events were smaller than from the past but were certainly just as strong. We took a different approach this year. We decided to do multiple events leading up to the big run. 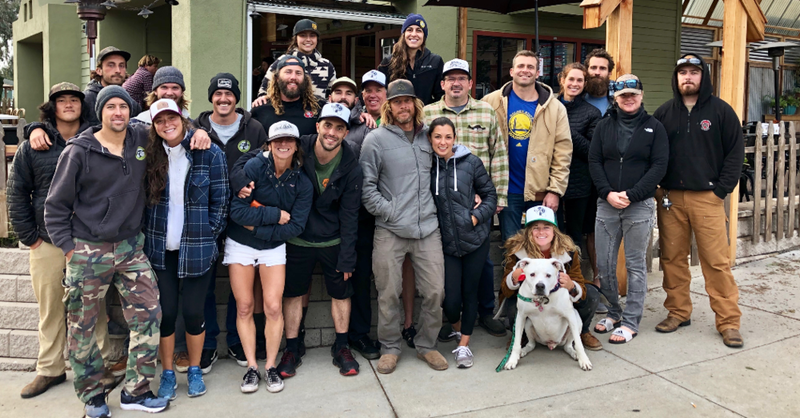 It started with the Rafiki Runs in October and finished with us settling in at the Central Coast Brewery in San Luis Obispo, CA in December. Before I take you through everything, let me throw out the numbers first. More than $23 raised per mile! It wouldn’t be right to not go over the impact our Rafiki Runs had for us again. We gave the runs their own event this year in October.It should be known though that they spawned from Run the 1 and our passionate friends all over the world who used to join us for Run the 1 from wherever they were at that time. Thanks to so many. Merrimack NH, and San Diego, CA really came through for us along with bunch of other committed individuals around the world. Of course, the kids ran too in Rwanda! Anyone who has been with us and read these blogs in the past, probably have heard of Laura Palmer and her amazing network of friends that come out to support the kids every year. I have grown very close to some of these folks. It has gotten a bit painful as the years continue because it is no nice to see everyone yet it is only for one night. It should also be noted that the musical progression of Laura’s children and their friends has grown exponentially. I got to sit in with some of them for some jazz standards that THEY taught me beforehand. Even without the donations, these parties have turned out to be a great night in itself to enjoy organic music from an amazing group of youngsters. Of course, the generosity of everyone there has kept our Rwandan kids in school for years too. Thank you to Laura and her amazing village for sticking with us. In an effort to reach a wider audience with our music and for our fundraising, we locked in a spot to play at the San Luis Obispo’s Downtown Farmers Market. This event would have guaranteed us to play for hundreds of people who had never heard us before as we held a booth for the charity. Sadly, the weather did not cooperate and the farmer’s market was cancelled. I have to thank our bassist (Ku Dawg) for reaching out to Manrock Brewing for a last minute chance to play there. So we crammed ourselves in to the corner and proceeded to rock out. Izzy Pettigrew kicked it off as she did last year. At 17 years old, everyone remember her name because she is fantastic and driven. The Glorified Gardeners reunited and took the night over afterwards. It was glory regardless if it was farmers market or not. Our good friends came and strangers stayed too. The brewery was so kind to donate as did other wonderful people. Fun Fact - Manrock Brewing is named after Mansfield Rock which is very close to where we start Run the 1 in Big Sur. It turns out the owners have extreme family history going back in the area. The night seemed grim for a quick moment but ended up being a beautifully fun time full of reunions, amazing music, surprising history lessons, generosity, and support for the kids of course. As I said earlier, this was our smallest number of runners thus far. We still had a great group though and a very supportive one at that. This year, more than any other, everyone stayed with each other and it had mostly awesome effects and a few tough effects. The positives are pretty obvious; we had comradery, laughs, solidarity, increased safety, and an easier time logistically. The only negative I would say (And I am speaking for myself) was the increased peer support did make me feel a tad bit stronger and faster than I really am. I ran my first 40 miles the best I ever had. I think my last ten might have been my worst though! Either way, I made it, and so did everyone. We had some record breakers too with Kyle Nakazawa (50) and Victoria Torres (25) which is one of my favorite things to see. All in all, it was one of my favorite runs honestly because the simplicity of this one allowed me to feel more of the heart of it all. In past years, I was a ball of stress. This year, I just went running with some amazing people, in an amazing place for some amazing kids. Most of the gang finished at last! Knowing our numbers wouldn’t be as high as years’ past, we decided on the smaller events you have read above. With the help of Ben Holmes and David Weber, we were able to get The Baywood Tavern in Los Osos, CA and Central Coast Brewing in San Luis Obispo, CA to take up our cause. Both establishments welcomed us and donated to the cause too. We ended our run at the Baywood Tavern and kicked off the celebration there. That evening, we convened at Central Coast Brewing where they also donated and welcomed us to celebrate. It was a great turnout and everyone had a great time. Once again, the simplicity of these smaller events, allowed me to take in the moments much easier compared to dealing with some of our crazier ideas of past. Either way though, we got the job done and had a blast doing it. It’s a glorious feeling when you turn the bend and see a bunch of trucks waiting to support you. I took this crappy quality photo while crawling to them. I need to get back to Rwanda! I will take off shortly after the new year. The kids are starting school extremely early this year and I want to get there before they take off. Did you know they moved into the new home? Thanks to our efforts over the years and other folks, the home is now livable. It certainly is not finished but it was the smartest thing to do to make the move. I can’t wait to share all of that with everyone. Did you see some of our Run the 1 hats? Thanks to Naomi Holmes for getting those made. We still have a few. Along with our remaining shirts, we are going to set up a way to sell those things online during the year for anyone! Stay tuned! Donations can still be made anytime through our website. Some of our family sharing our thanks to you. Allow me to communicate the same sentiment I have had since we started this whole deal…I’m just grateful it goes on in any capacity. People still ask me how the event went or comment on the fact that it’s gotten smaller or less extreme. It has gotten smaller each year, and the event has certainly gotten more simplified. However, 50 miles is still 50 miles. Hell, 1 mile is still 1 mile. It’s all relative. The fact is, me personally, I must do something to earn the generosity from over the years and the years to come. I pledge that. As long as I’ve done something to communicate my passion for the kids in a way without words, and those kids still get to go to school, than it is a MASSIVE success. Then I think about all of my amazing friends that are still joining me and HELPING me in any capacity and I feel like the luckiest guy alive. Follow those thoughts up with that we have an absolute blast doing these things and I’m not sure you can ask for anything better. And never forget that this event started in 2011 because we wanted to feed street kids porridge at school so they could continue their education. Going forward, we have bought land, helped build a home, and helped keep a roof over former street kids’ heads with our efforts. But it all goes back to education, and we have never forgotten or abandoned the future of so many kids that would have been otherwise left behind. Let Run the 1 become what it may. You will still find me running for the kids, and I will be forever grateful for those who have joined me before, this year, and for those who will be there in the future. And in that regard, Run the 1 will always be a great success. Wondering why Claire didn’t run this year? She had a race following Run the 1 (Which she won of course). So Claire woke up with us at 3:30 in the morning, drove us to the start and followed us the whole day. She also bought us tacos, cookies, beer, water, and told us we were doing good even when we weren’t. I saw this and it made me feel like we were a real band! Kona stuck with us all day. I was lucky to have these guys hang with me for the last bit of the run. You can tell who didn’t mind the break and who just wanted to get it over with! It was high tide on the beach so we had some rock hopping to do which isn’t the easiest after 40 miles. It was gorgeous though. You can see Morro Rock in the distance. 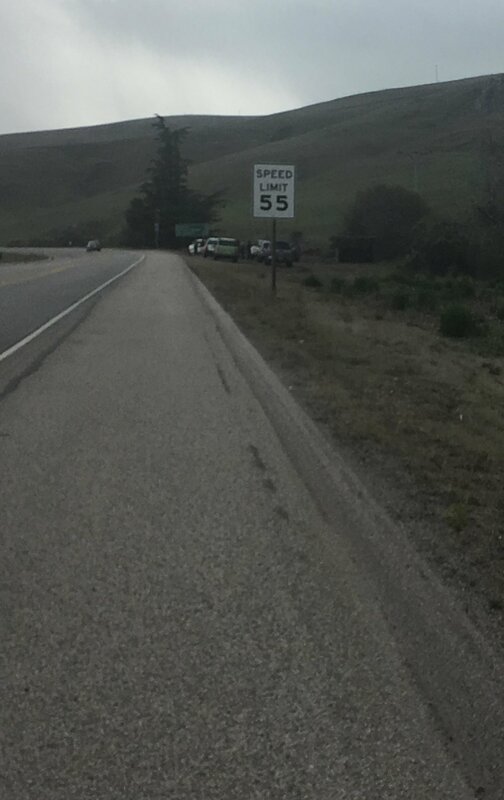 When you first see Morro Rock, you are relieved because you are getting closer. However, it can also mess with you as it feels like forever to reach it. Los Osos is another 5 miles beyond it. I think Sky could have pulled off the 50 but he did a stand up thing and bowed out at 32 to let others who had been supporting all morning jump in and run. We had no one to take our starting photo so Demi and Naomi switched out. I am always grateful for the ones that make it out for the early morning start. For those who do not know Ali Zikratch, she has been my rock for everything Ubaka U Rwanda since she decided to help us in 2012. There are countless things that wouldn’t be as they are right now without her. Even me typing this would not have been possible without her. She is the one who remained patient as she created the website and again and again had to teach me how to do these blogs. But in regards to Run the 1, she has made it everything. It took me, Ben and Claire to take those first steps in 2011 but it took Ali and her passion and expertise to lay the foundation for this event. Sadly but fortunately, Ali has been extremely busy this year as she finished her schooling and progressed extremely far in her full-time job. she couldn’t be with us this year and we missed her so much. People such as David Weber, Ben Holmes, Naomi Holmes, Kyle Nakazawa, Kurt Lindgren, Laura Palmer, Heather Martin, Caroline Weber, Jo Booth, Katie Creighton, and countless others. helped me pull off events, fund raise, get raffle gifts, make and sell merchandise, secure locations, and more. I have always been grateful for Ali but I learned this year, more than any other of the impact she has had on Run the 1 and everything. She has laid the foundation for years to allow us to come together as we did to pull it all together. And I wanted to take a moment write about that and thank her. I know she will most likely hate this portion, so I saved it for the end for anyone who might still be here. Thank you Ali. Ali on the left and Paige on the right. We missed you too Paige!